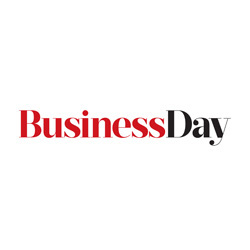 In a country where ‘business’ is often painted as self-serving, the Absa Business Day Supplier Development Awards explores ways to change this narrative. The lessons learned from this exercise have largely debunked the prevailing sentiment that corporates and parastatals in South Afica don’t invest in tomorrow’s business leaders. The awards showcase the gambit of best practice, and acknowledge leading organisations with successful Supplier Development Programmes that are making a lasting impact beyond simple scorecard compliance. More than 400 entries were received for the inaugural Awards that were presented in partnership with Fetola, Cold Press Media and Tiso Blackstar Group in 2018. To extend the reach and impact of this year’s awards, a series of post-awards events - ‘The CEO Dialogues’ - will be hosted offering a compelling platform for corporate South Africa to work together to generate collective learning and strengthen the Supplier Development ecosystem.